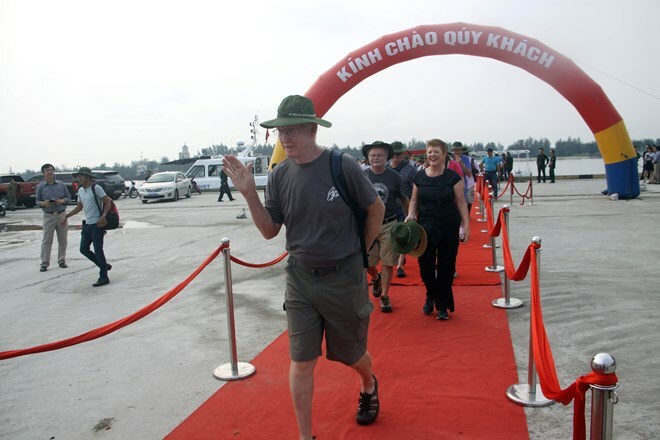 Quang Tri (VNA) – Nearly 60 foreign passengers and crew members of the Panorama II cruiser arrived in Quang Tri on April 8 for a tour of the central province’s historical relic sites, once a fierce battlefield in Vietnam. During their one-day stay, the tourists are scheduled to visit the special national historical relic site of Vinh Moc Tunnels in Vinh Linh district – once a bomb shelter for locals during wartime. They are also due to visit Ta Con Airport in Huong Hoa district – previously a military base for US troops.